The hardest working people I know are all self-employed. They take pride in their business that they built from the ground up, working harder and longer hours than the rest of us – but they always have a huge smile on their face when asked about their job. Why? The simple reason is because their Company is their baby. They want to see it succeed no matter what the cost, and they’re all-in so to speak! Statistics Canada observes about 2.5 million Canadians, or 15% of us are labelled "self-employed", comprising of business owners, contract workers, and freelancers. With numbers on the rise in this employment segment, many companies are now contracting out self-employed workers as an alternative to a full time hire. Above the obvious benefits of being self-employed, like working on your own schedule, potentially owning your own Company, setting your own pay, and making the big decisions – there’s a few benefits that you may not be leveraging if you are indeed self-employed. If you work from your home or use part of your home for your business, you could get a big break on your taxes. A portion of your mortgage or rent, property taxes, utilities, repairs, maintenance, and other expenses can be deducted when submitting your taxes to the CRA. Also, if you own your own vehicle and use it for your business, the CRA will allow you to credit your vehicle against your self-employed earnings. The best way to do this is to keep a log book documenting the mileage driven for personal and business. You can claim that mileage used for business purposes including the fuel, maintenance, and even interest paid on a loan. Many people that are self employed incur additional expenses that go above and beyond what the rest of us 9-5 workers experience. Self-employment can be very costly if you do not plan ahead, and some of the hidden costs can be quite staggering at times. Business costs can vary wildly depending on your line of work. Over 43% of self-employed individuals reported annual expenses of $4,000 and up. Things like having the right technology available to you including a new computer, up-to-date software, high speed internet, and a dedicated phone line can start to add up. Income instability is another major concern for those self-employed or freelancing. Many starting up a business for the first time will have left their full-time employment to pursue their own dream, only to spend years building up a client base and falling short of their financial plans. Self-employed individuals have no pension plan, sick benefits, retirement plan, health benefits, or vacation time as well. These little perks you think nothing of at a traditional job have quite large impacts on those running their own businesses and can be a source of a financial emergency unless budgeted for. Ferratum Canada has always been here to empower Canadians financial dreams. Whether that be following your passion and taking a cooking class or funding you for those unplanned emergencies. While we carefully look at everyone’s financial “story” when applying, we have traditionally not been able to fund self-employed individuals. As of today, self-employed individuals are now eligible to apply for their own Personal Loan. 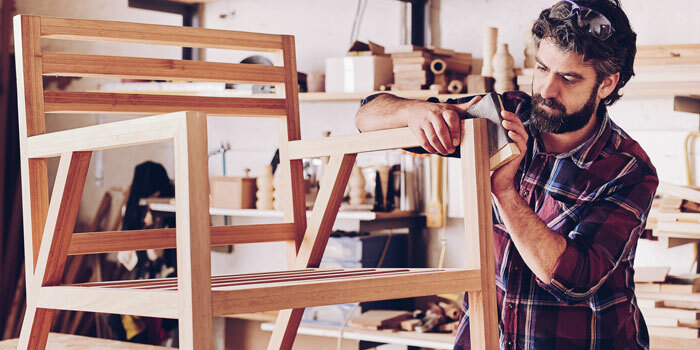 We know sometimes you can hit a financial bump in the road while building your empire: whether that be repairing your work vehicle, buying a new laptop, or funding necessary hardware for your small business. We salute every hard-working small business owner, and hope that we can help fund your passion and empower you on your road to success. If you think Ferratum Canada can help you today, Apply Now to get a loan decision in 10 minutes.